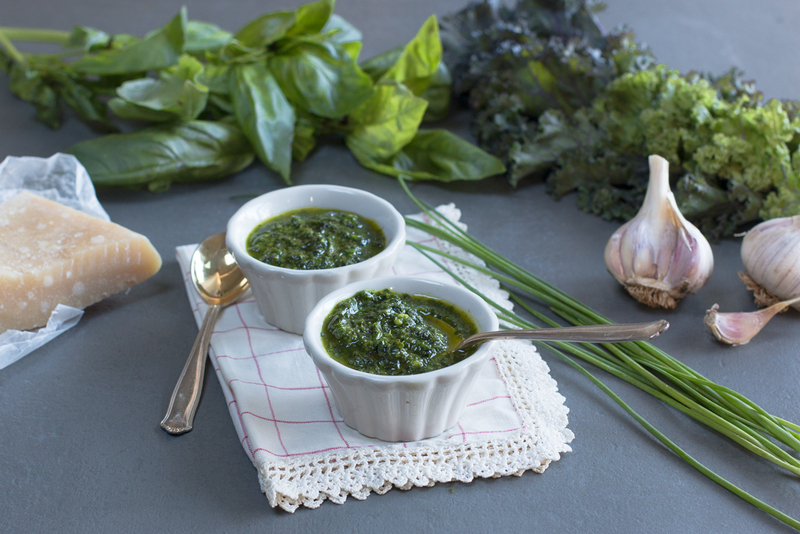 A Herbal Pistou ~ Basil, Kale and Chives with garlic and extra virgin olive oil processed to a creamy paste. 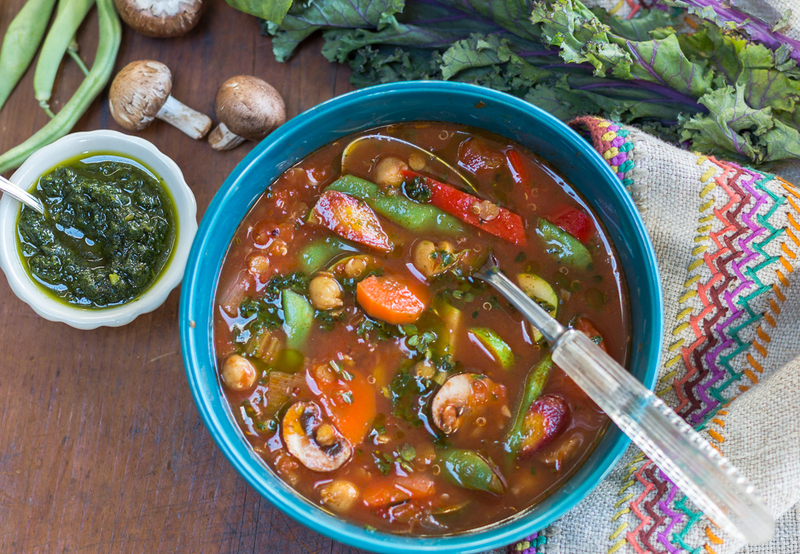 Adds a zesty and flavorful essence to soups, brushetta, pasta, vegetables and more! Similar to Pesto, but without nuts. Parmigiano Reggiano Cheese is optional…delicious without. In a small, 4 cup food processor, add the first 5 ingredients. Pulse to blend all. Add olive oil in two additions and blend until smooth. Add parmesan if desired, pulse in. Store in a clean glass container with a tight lid in the refrigerator. For longer storage, pour a film of olive oil over the top. Pistou can be stored for later use – add 2 tablespoons into each cavities of small ice cube trays. Freeze. Defrost each when ready to use.